You won't put more money in your pocket if you’re making these mistakes. Raise before praise, that’s what we like to say. Fortunately, it looks like employers are well aware of that fact. U.S. salary budgets are projected to rise by an average of 3.2% in 2019, up slightly from 3.1% for 2018, according to WorldatWork’s 2018–2019 Salary Budget Survey. 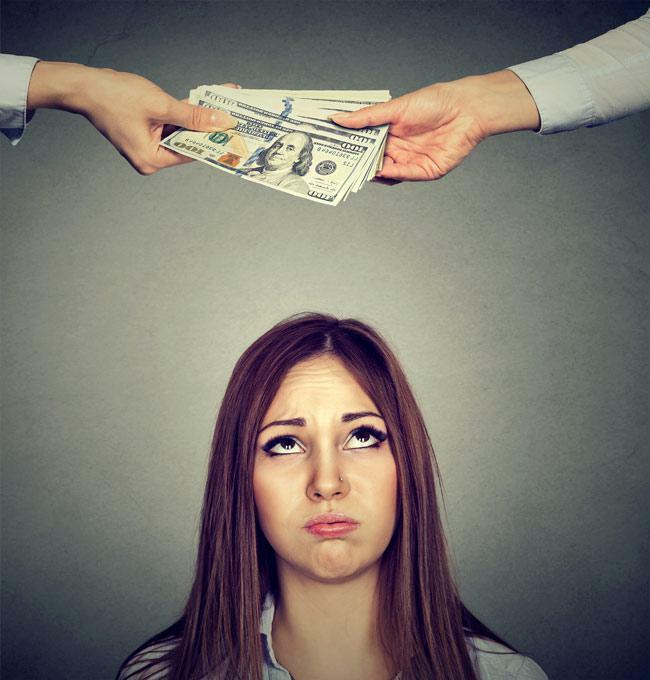 Unfortunately, not everyone who deserves a pay raise gets one—and the reasons why might not be what you expect. To avoid getting dinged in the wallet, check out some of the most common explanations why employees don’t earn raises. If any of these behaviors sound familiar, it’s time to make some changes. Even if your boss is super-appreciative of your efforts, “very few employers are going to come to you and say, ‘Hey, I want to give you a raise!’” says executive coach Roberta Chinsky Matuson. Speak up—and explicitly state that you’re asking for a pay bump. “You have to articulate that you’re requesting a salary increase, not just a promotion,” Matuson says. So before asking your boss for a raise, do some salary comparison and assess how much you’re worth next to other professionals in your field who are on equal footing. To find out what other people with your skills and experience are making, you can contact recruiters and do research online (Monster offers a Pay Range & Wage Estimator). Once you’ve gathered this salary information, you can use it as a bargaining chip when you sit down with your boss, Pinkley says. Simply expressing that you want a raise won’t earn you a pay bump. You have to demonstrate what the company gains by having you on board, says leadership consultant Barry Maher. Moreover, “you can’t assume that your boss is keeping track of your progress,” says Pinkley. “You need to keep a record of your contributions and show it to your manager.” Because money talks, highlight things you’ve done that have improved your company’s profitability or productivity (think numbers), Pinkley recommends, and talk about the contributions that you’ll make going forward. Could you use some help looking for a better-paying job? Join Monster for free today. As a member, you can upload up to five versions of your resume—each tailored to the types of jobs that interest you. Recruiters search Monster every day looking to fill top jobs with qualified candidates, just like you. Additionally, you can sign up to get negotiating tactics, interview insights, and useful career advice sent directly to your inbox. Monster can help you find a job that’s a great fit—and one that pays better, too!